Twitter and Yahoo executives recently met to discuss a possible merger but, by all accounts, the meeting was pretty lopsided. Sources told the New York Post that Yahoo chief Marissa Mayer was there, but Twitter chief executive Jack Dorsey didn’t even show up. Twitter dropped out of the bidding process shortly thereafter. 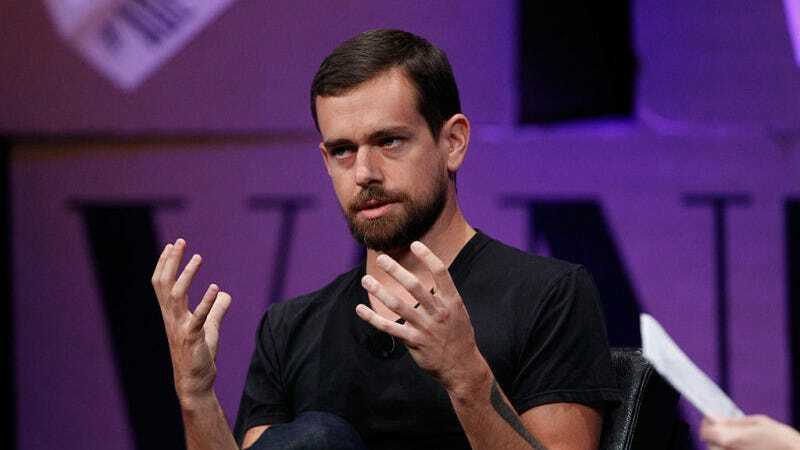 The idea “isn’t as crazy as you might think,” the source says, because Twitter is a source for news, and Yahoo has “a lot of eyeballs.” But given that the meeting seems to have been a bit of a whim for Twitter, that might not be true. The idea that the embarrassing meeting happened does make some sense. Yahoo put itself up for sale back in April, after a long struggle to regain relevance and revenue. Mayer took the helm four years ago and made a string of acquisitions (like Tumblr) while making expensive marquis hires (like Katie Couric) to build up its news division. But growth has slowed and the company is awaiting bids for its core business, due this week. News there is bad too: The Wall Street Journal reported that most bids are expected to be about $2 billion or $3 billion, below expectations. Verizon is currently the frontrunner to make the deal. Twitter, a company with its own problems, might not be the knight in shining armor that Yahoo is looking for, however. Revenue is flailing, and the company has yet to make money despite a decade of trying. The microblogging company keeps tweaking features to lure more people, yet Twitter still can’t keep up with its younger competitors like Snapchat. Does latching on to a dying 90s dot com phenom seem like the best next step? Jack doesn’t seem to think so.